Can creative gardening write novels? I think it can. 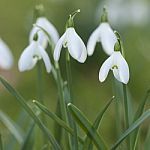 It’s that post-Christmas period when the morning sun reveals the dust on the shelves and the first snowdrops and winter aconites wink under the hedges. I ache to get out into the garden and continue the jobs left undone at the close of autumn. With Thegn’s help I’ve been concentrating on clearing ivy in the spring garden. Seedlings of ash and sycamore have over-wintered there as well, and their bare stems defy attempts to dislodge them. 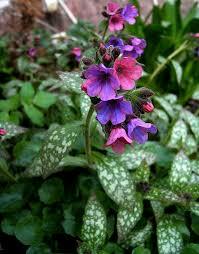 Where I win the battle, I push crocus bulbs and snowdrops into the loosened soil, and plant wild primroses and spotted pulmonaria (lungwort) under the shelter of the trees. They look sad at the moment but, given gentle rain and warm sun in equal measure, will soon rally, providing nectar for emerging bees. Such repetitive work gives me plenty of time to think about writing. 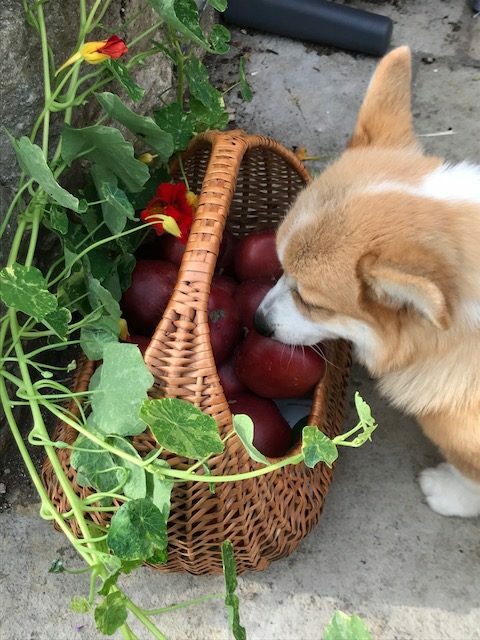 Often, gardening is when the best ideas filter into my consciousness, bud, and blossom. 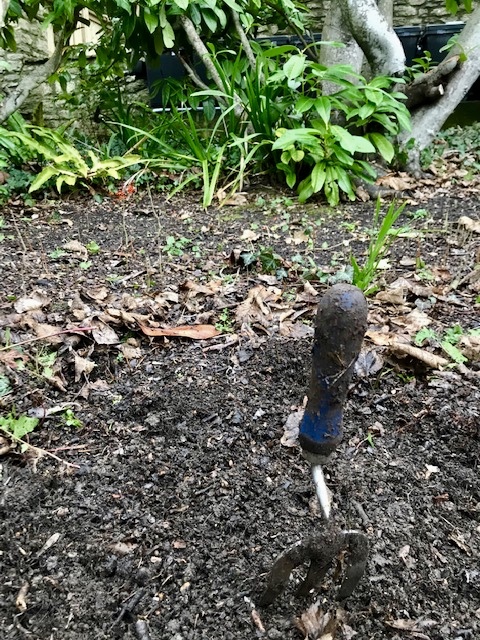 Over subsequent weeks as the garden develops, I weed out the blind bulbs of ideas that lead nowhere, the weak seedlings that undermine the plot. I feed and tend the stronger saplings whose branches will bear the most fruit and the best storylines. In my garden, I flesh out my characters and prune those that get ahead of themselves. Even the very act of tending the soil gives ideas for the future. 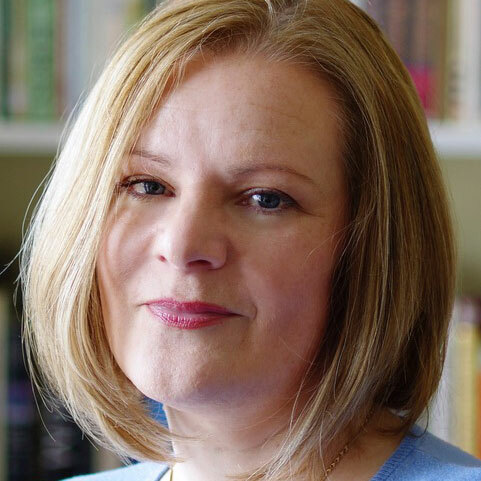 While Emma D’Eresby in The Secret of the Journal series hates gardening (because her father loves it), Isobel Fenton in The Tarnished Crown series lives for it. For her, the garden is a place of refuge in a land of turmoil where she, and she alone, is mistress. Perhaps that’s also one of the reasons I like to garden. Here, I have the time, the space, and the freedom to create. 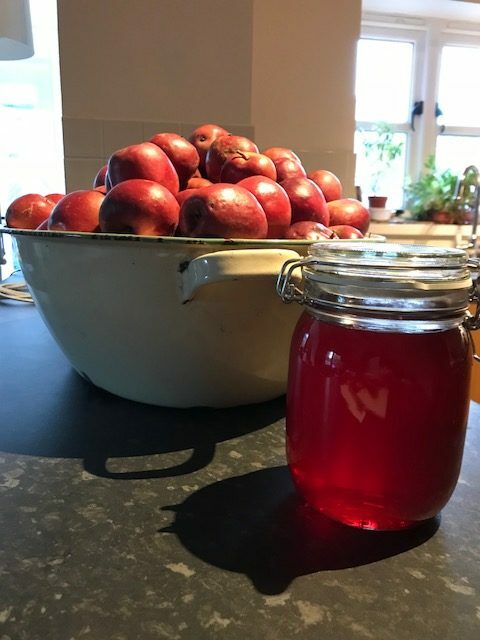 From a simple patch of bare ground I can make a world of my own, whether in my head or on my knees, in the certain knowledge that hard graft now, will bear fruit later. Since my last post on restoring our Arts and Crafts house, things have moved on apace. I finished removing all the modern polyurethane from the wide window seat in my study and then started eyeing up the rest of the room. 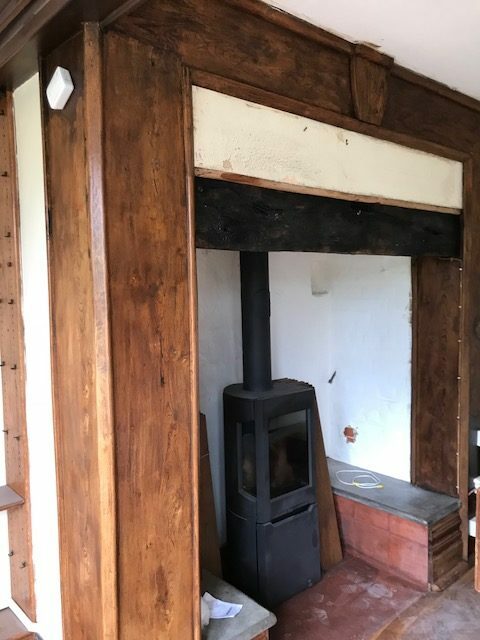 There’s an inglenook fireplace from the original 1630’s house in my study. Edward Sturdy surrounded it in an oak mantle and this, too, had been given ‘the treatment’ sometime in the 1990’s. Now a dark, icky mahogany brown, the beautiful grain of the wood was lost and the surface dull. 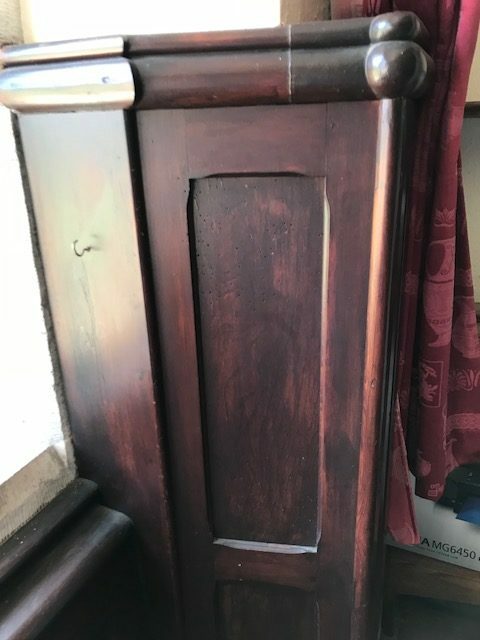 As you know, I am wary of removing any finish that might be original but, spurred on by the stripping of the window seat, I set out to do a similar job on the mantle. 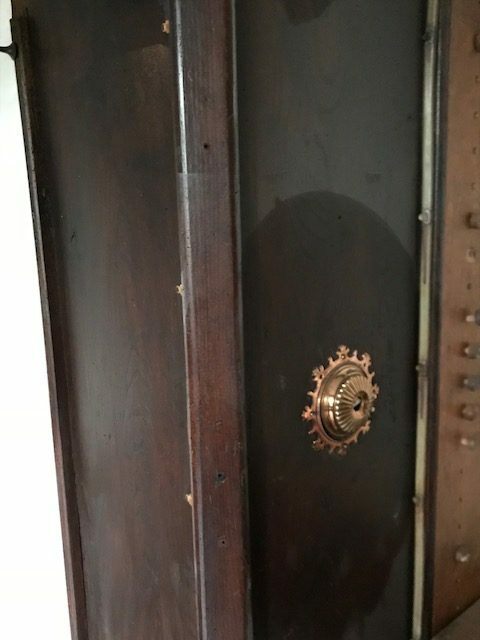 The copper bell push had to be removed for cleaning. A lovely thing, it had been lacquered sometime in the last twenty years and needed the old coating removed before polishing,, finding a replacement button, and being put back. 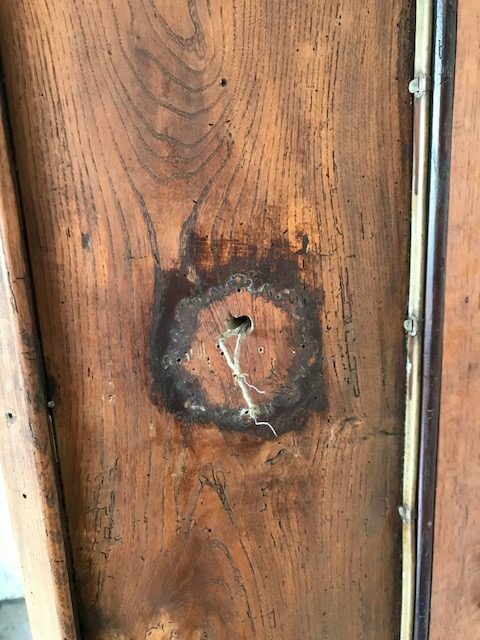 Behind the bell the original surface glowed a medium oak, a perfect witness to our hunch that almost the entire house had been subject to a mahogany stain on the extensive areas of woodwork. Anyway, as before I used a chemical paint stripper (Paint Panther) that softened the varnish enough to be removed without damaging the wood. It took a few coats, scraping (carefully), wire wool, and wire brushes to take off a lot of mucky gunge. I then rubbed the exposed wood with white spirit, used a fine tool to clean the really-hard-to-get niggly bits, and brushed on liquid beeswax and natural turpentine (Liberon) to nourish the surface. Left to dry for upwards of twenty-four hours, this was then buffed to a subtle sheen. 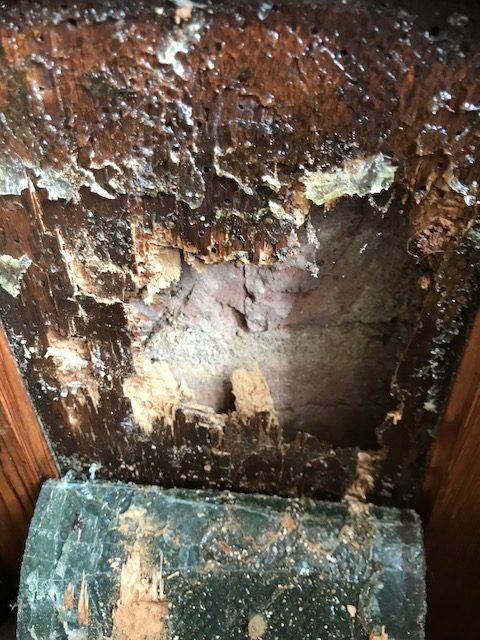 Removing the inappropriate wood stain revealed the probable reason for it: surfaces chewed by time and woodworm. I can understand people wanting to unify the look of the wood; some would say that the use of Douglas fir and oak (and walnut, in some places) was a bit eccentric of Edward Toronto Sturdy, but then that is part of the charm of his house – it’s quirky. The next project to tackle will be the tiled fireplace. At some point, the 9×9 inch red quarry tiles were painted a heavy, pillar box red. I have no idea whether I can rid them of the noxious coating, but I’m willing to give it a go. I’ve been taking time out from writing my latest historical mystery suspense to engage in a little house restoration. One of the joys and tribulations of living in an old house is what might turn up expectedly during renovation. For the last week I’ve been engrossed in getting some work done in my study – not writing this time, but stripping (although the new book is coming on apace, I’m delighted to say). 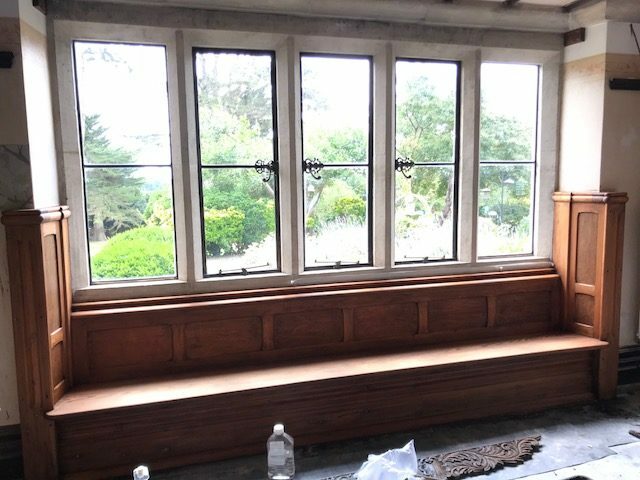 I’ve been working on the Arts and Crafts window seat which crosses the entire width of the windows and was stained such a dark colour that it sucked all the light out of the room. It wasn’t an easy decision. I’ve seen too many over-restored houses to let that happen to this one. Too often woodwork that was supposed to have been painted from the start is stripped back to a naked surface and limed or left parched and bare. 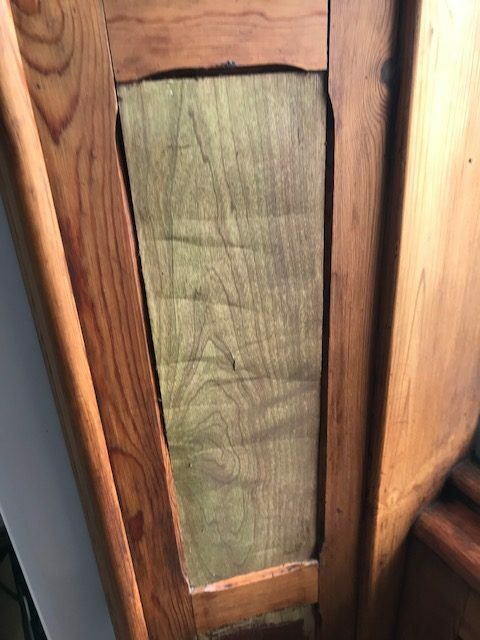 I agonised over what to do for the best and the question I asked myself was: is this an original finish to the Douglas fir and oak bench, or a later addition? A test strip painted a pale, neutral colour looked terrible, leaving me no other option than to take the plunge and remove layers of sludgy ‘mahogany’ varnish. The varnish turned out to be a modern polyurethane finish. Removing the varnish allowed not only the warmth of the wood to glow through, but also the strong grain – giving texture and depth. It also revealed that two oak panels had been replaced with…vinyl laminate flooring. Delightful. It worked, I suppose, when covered with gooy varnish, but stripped back looked exactly as it was – plastic. Carefully removing the laminate revealed the badly wormed oak panels. My helpful decorator supplied some oak sheet he had tucked away in his garage and that will be my next task – to cut two panels from it to replace the placky stuff. 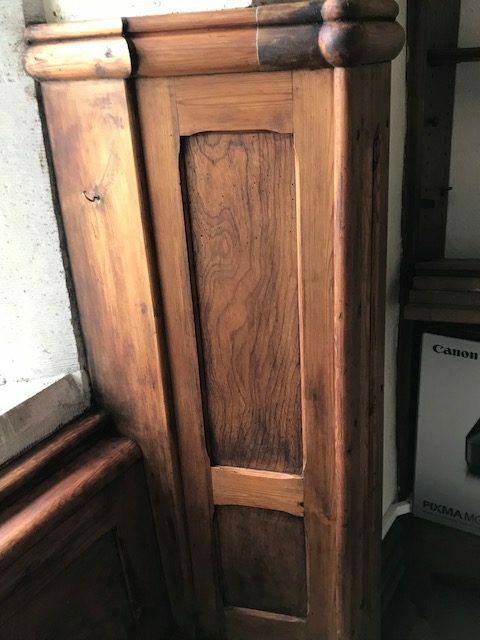 Then I’ll stain the fresh oak to match the 1900 wood, and use a beeswax and turpentine mix to unify the colours, feed the wood and give it some protection. Even with this much done, the room feels lighter and more inviting and closer to the original finish desired by Edward Toronto Sturdy when he first commissioned the building. I’ll post some more photos when the job’s completed.